“My first step into the aviation world was back in 1989 when I first joined the Danish Air Force. 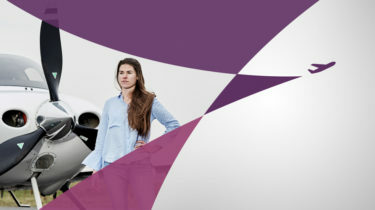 It was the best decision I ever made,” says Charlotte Pedersen, CEO of Luxaviation Helicopters, part of the Luxaviation Group. I was only 18 years old when I first became truly interested in aviation. I had previously attended a military internship that turned out to be both interesting and fun. One year later, the military announced that women would finally be allowed to apply to train as military pilots. Since I had enjoyed my internship, I decided to apply and got selected. At the end of the week, I was one of just two applicants, and the first woman, to pass the military selection tests. I was first trained as a military Search and Rescue pilot on the S-61 helicopter. After moving to several higher positions over the years, my career shifted when I left the Air Force to be a full-time mother. A part of me always missed my colleagues and flying, but it was a choice I was glad to make. Afterwards, I was prepared to start up again and move into another level of my career. This drive enabled me to return to aviation and continue to do what I love. I was eager to keep on moving forward, and after receiving my MBA I joined Luxaviation. This was the perfect direction for me. Business Aviation is a highly challenging industry, but I felt inspired by the team, the atmosphere, and the company philosophy. In the first few years after I joined, we were often working day and night, but it was well worth it – we created a global group and the company is constantly growing. There is never a dull day. Things are always changing, and the solutions often require great teamwork to be solved. Working in the industry is very rewarding, but it takes a certain type of personality to thrive. You have to enjoy a dynamic working environment, different daily challenges, and be able to work on a team. Because things are always changing, finding timely solutions requires efficient and great collaboration. When we work together and get the best results for our clients, everyone is happy – this would not be possible with a group that does not work well together. It’s important to have these traits and love what you do because working in Business Aviation is not easy and is more important than some people realise. 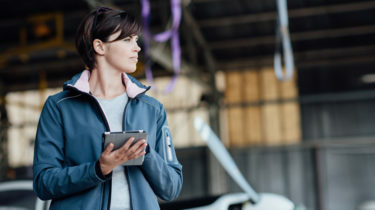 As an industry, we are the people that keep small airports connected, ensuring alternative solutions to scheduled transportation or remote regions and cities. Furthermore, we are an industry that employees hundreds of thousands in Europe. 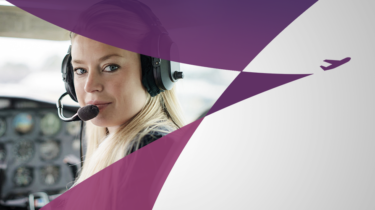 When it comes to transportation and employment opportunities across Europe, and the rest of the world, Business Aviation is the perfect solution. Luxaviation is one of the largest private aviation operators with a fleet of 260 aircraft and over 1,700 employees worldwide. Our critical mass enables us to cater to your individual needs at a very personal level – any time, any place. Be it charter, FBO, maintenance, or aircraft management – enjoy the privileges of a premium infrastructure and service culture.